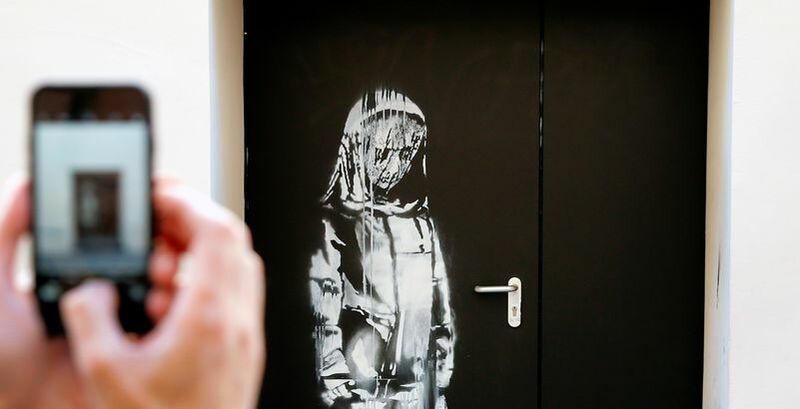 Accueil Articles Banksy: his work in tribute to the victims of the attacks of Bataclan was stolen! The team in the hall proclaims his deep indignation. Stupor on January 26 when the team in charge of the Bataclan, alerted by an alarm, found that a work supposedly created by the street artist Banksy on the door of one of the emergency exits of the theater the eleventh arrondissement of Paris had disappeared . L’œuvre de @originaIbanksy hommage aux victimes du 13/11 a été volée. Asked to pay tribute to the victims of the attacks of November 13, 2015, on the scene of the tragedy, the play was relatively recent and it held less than seven months . Banksy would indeed have painted at the end of June 2018 during a visit to Paris . RIHANNA, HER STAR MODEL BROKE HER WATER DURING THE FASHION SHOW!